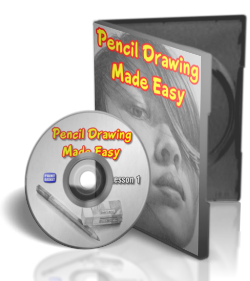 Earn a steady stream of cash by promoting the Pencil Drawing Made Easy Course. I offer a generous 50% commission on each sale. on a product that practically sells itself. to quickly add the course adverts to your site. From banners to product images, it's all available to you. Clickbank is our payment provider so with every sale that you make, they pay you first. Clickbank is the top affiliate network on the Internet and has paid out over $1Billion to affiliates like yourself over the past 10 years. 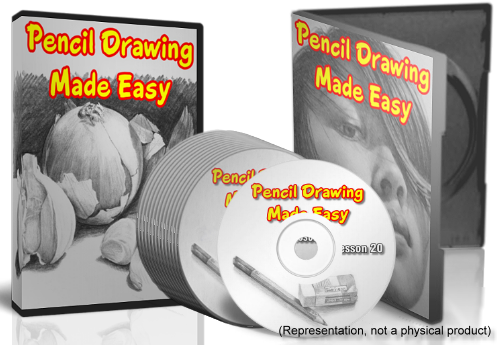 The possibilities for promoting the Pencil Drawing Made Easy course are limited only by your imagination. You could add a banner to your website. You can set up Pay per Click adverts on Google, Facebook or any of the other busy social media websites. You can even do a review article or video of the course and promote that via any of the article submission sites, on your own website or on the video sites like Youtube. If you have a mailing list, then there are email templates for you to simply copy and paste. Selling only one course per day can give you over $600 per month. If you put in a bit more effort, just imagine what you will be earning by selling more than one per day - you do the math and see how profitable promoting this course is. Create a link to the Pencil Drawing Made Easy site which has your Affiliate ID in it as explained below. Use the pre-made images, articles and resources on the next page to promote the course. replace the red YourAffiliateID text above with the unique Affiliate ID that Clickbank gave you and you have your link. Every time you send someone to the Pencil Drawing Made Easy site, use this link to send them here. Clickbank will then "tag" that person as your affiliate. Even if that person only buys up to 60 days later - you get paid. How cool is that! I have my affiliate ID, what next? Click the button below to view all the resources at your disposal, choose the ones that work for you and start promoting. PS - If you have any queries about becoming an affiliate or promoting the Pencil Drawing Made Easy course, please don't hesitate to Contact Me. I am happy to assist.